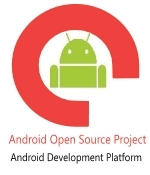 Code Creator's AOSP ROM Builder is a full featured Android Build environment, pre-configured with all the software needed to build the Android Open Source Project in record time. Be sure the minimum EBS volume space be set to 100GB or higher. Code Creator's AOSP ROM Builder is a full featured Android Build environment, pre-configured with all the software needed to build the Android Open Source Project, create your custom ROM, or just build for one of the included devices. The server also contains the AWS CLI tool so that you can easily copy your AOSP image to the S3 once compiled. Harness the power of AWS by instancing a high CPU core instance and build Android in record time. Be sure the minimum EBS volume space be set to 100GB or higher.